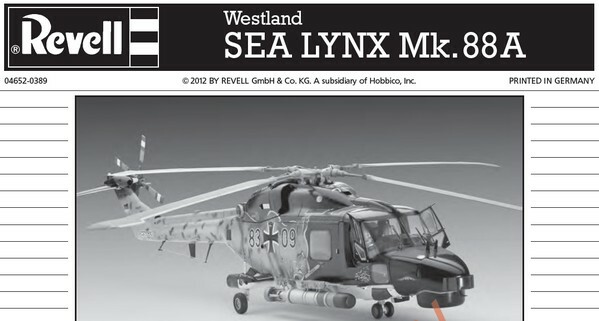 ..The Revell Lynx helicopter kit in 1/32 was long awaited. 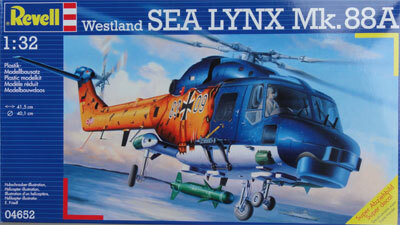 The Lynx kit is fine, but first let's look briefly at the Westland Lynx history. Developed in a joint effort by Westland (UK) and French Aerospatiale, the Lynx is a multi-role helicopter for army and naval use. The naval versions got a wheel undercarriage and the army versions a skid. Prototype flew in 1971 and many versions were developed. The type was used by the British armed forces, France, Germany, The Netherlands, Danmark and many other nations. The Dutch naval service (Marine Luchtvaart Dienst / MLD ) ordered the Lynx for anti-submarine role, transport, and Search and Rescue (SAR). It replaced the Wasp and Agusta Bells and the Lynx was choosen as it should be able to operate in bad weather in various roles. - SH-14 for the anti-submarine role, with the SH-14B and the SH-14C equipped with MAD system which proved to be in fact unusable. It could be fitted with a hoist and it was famous for its rescue missions in terrible weather. At the end of 1993, the remaining Dutch Lynx helicopters were standardized to the SH-14D. 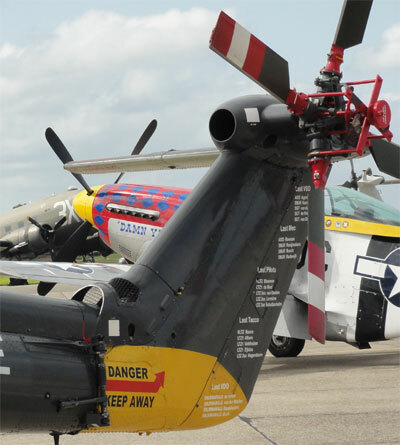 As Westland did not manufacture metal blades any more, new BERP main rotor blades were installed with their typical curved tips. Also, a new GEM-42 engine was installed. A removable dipping sonar installation was also fitted. 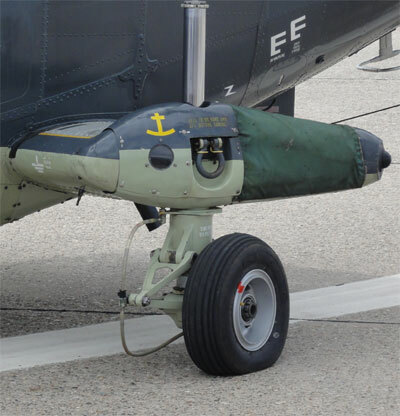 The stabilizer was renewed with reduced span and “gurney trailing edge”, but the tailrotor remained unchanged however (contrary to many other newer Lynx variants with the new BERP). 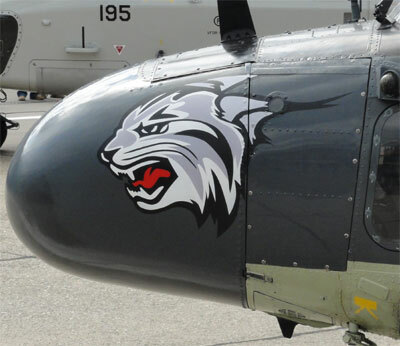 The Dutch Lynxes were put out of Dutch service September 2012 and the type was well liked. 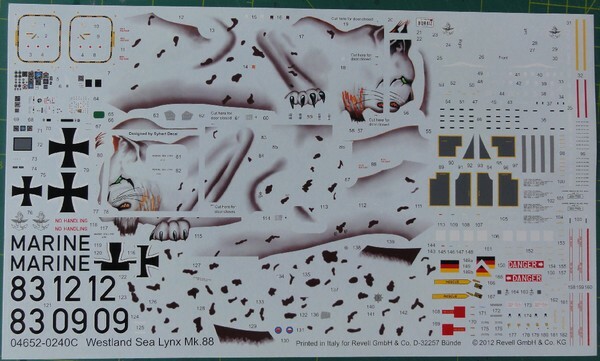 The Revell kit is the first Lynx in 1/32 scale. 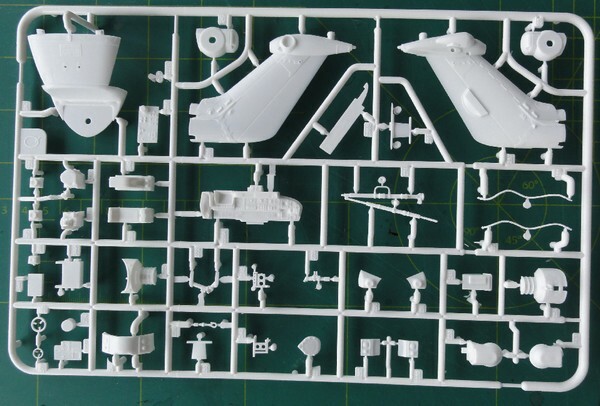 Parts are very fine and the first release of the kit is for a Mk.88A as used by the German Navy. This version is different from the Dutch Lynxes, more on that later on. 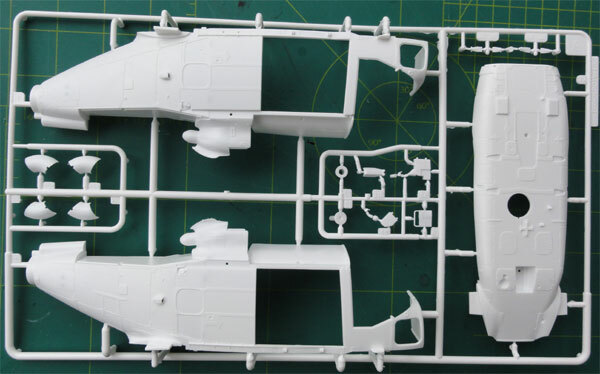 A conversion is thus needed for Dutch Lynxes. February 2013, REVELL issued a different version of this kit , the HAS 3. 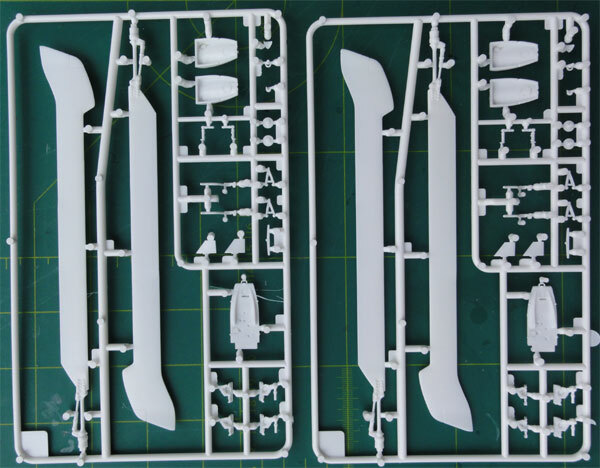 The shapes and proportions of the Revell model mk.88A look OK for a naval Lynx. 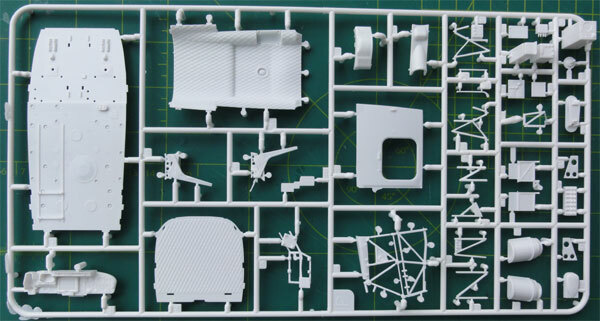 Many of details, with over 270 parts. Typical for the Lynx Mk88A is the nose with a lower search radar fairing. 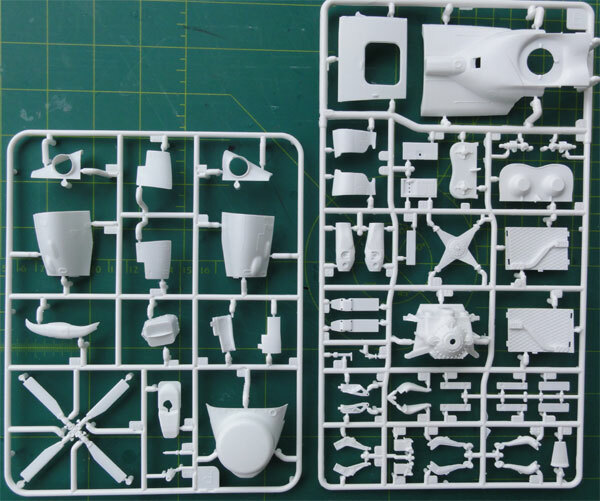 and parts for the HMA8, that has some parts for the RN radar and the foldable tail-end. OK, let us look at some details. Also, German Lynxes have ECM pods on the undercarriage stubwings. Seats, floor, walls, cabin roof are well detailed. Even the sonar installation and the operator console are included. The outher surfaces are well done but miss rivet details. On a real Lynx these numerous rivets are well visible. 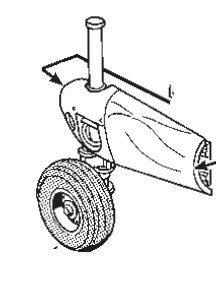 The modern BERP rotorblades are included with parts of a "non folding" tailboom end. Depending on the Lynx version, some fold their tail end. 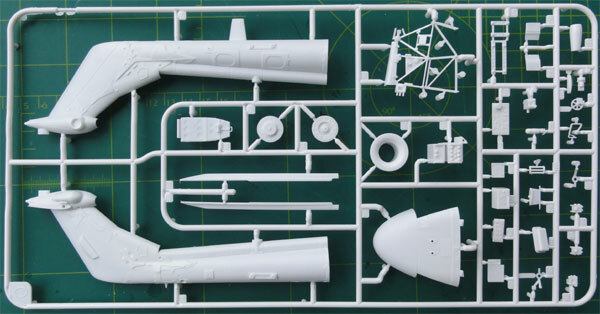 Within the kit, included is the later style tailrotor of greater diameter (2,36 m). 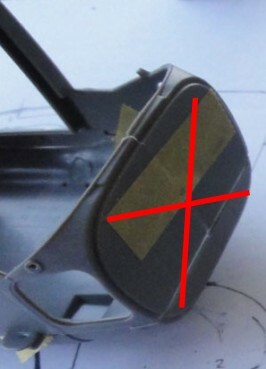 The newer type stabilizer is also included with nicel moulded “gurney flap” trailing edge. -2- the initial older style tailrotor is needed. This initial tailrotor rotates the other direction, has a different inboard cut-out shape and has a smaller diameter of 2,21 m. Some small conversion work needed here. 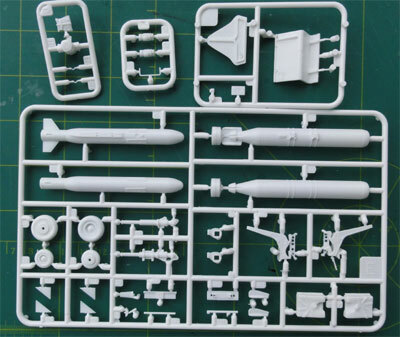 -3- the stabilizer span (kit part #58) should be reduced by 14 mm. (NOTE: for an old Lynx version, like the UH-14D, simply sand flat the gurney trailing edge, the kit part span is fine with 50 mm in 1/32 scale). -4- the Dutch Lynx tailboom end is foldable and has the prominent swivelling mechanism; these should be added. -8- the cabin sliding doors should each have a flat window on a Dutch Lynx. 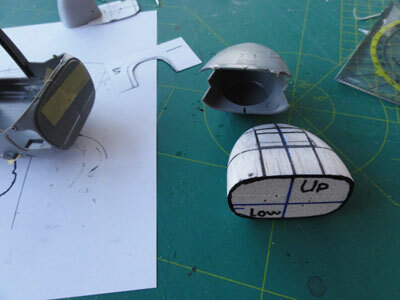 With the exception of the new nose (-1-), the rest of the conversion work can be done with some limited amount of work. OK, the nose is different for a Dutch Lynx (in fact, very similar to other older versions as well common to HAS 2 / HAS 3). After looking at the kit parts, it would be great to have multiple noses casted also for future other models. So it was decided to make a new nose and duplicate it with resin. Several symmetrical patterns were made for the new nose. Typical is the curve at the lower surface and more flat area at the sides. Lots of work was done to make the new nose master. When ready with some special tricks, the master was used to create a rubber mould. 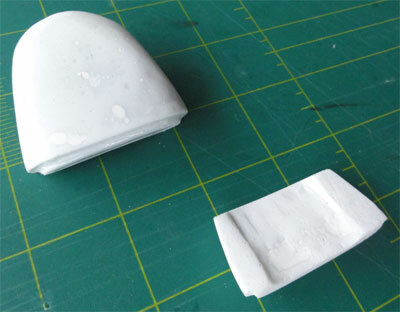 Also, to avoid a very heavy resin nose, the nose was made in 2 parts. 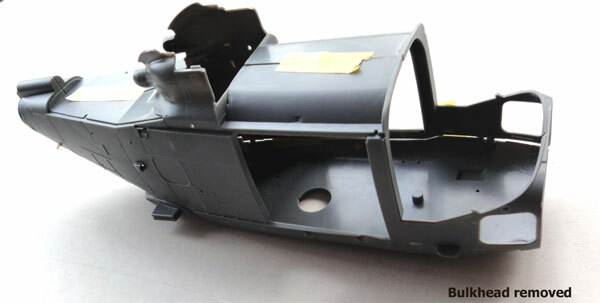 After drying, the new resin nose could be casted. NOTE: no panellines are moulded on the nose as these differ on Lynx variant. Re-scribing and adding these later as desired is more flexible. 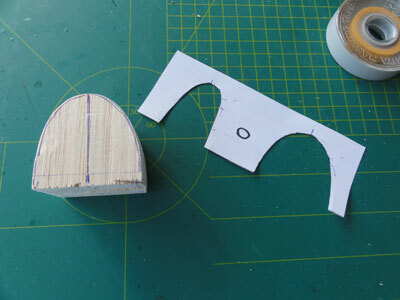 Also, the smaller air holes need some filling, but nothing unusual for the modeller. Also it was decided to make two new stubwings for the main undercarriage as on a Dutch Lynx no large ECM fairings are seen on the stubwings (see remark -5- ). 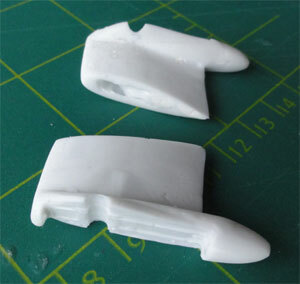 Making new ones with home made resin casted parts would save a lot of work on future models. 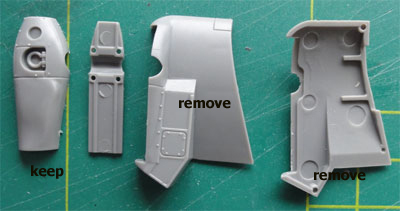 (Revell part 54 will fit and the gear kit parts can be inserted). Re-scribing of some surfaces can be done as desired and filling any smaller air holes is also needed. My own conversion set with the resin parts is SOLD OUT. Sorry!